There is no consensus regarding the benefit or harm of dry feed for animals. But breeders often prefer dry feedmeters because they are convenient, inexpensive, vitamin-enriched and balanced in composition. If the cat eats natural products "off the table" so as not to harm her health, to transfer to dry feed should be gradually and correctly. Learn the range of dry cat food in different price segments. Pay special attention to the composition, quality, shelf life and the manufacturer's recommendations written on the packaging. The fact that after the transition to dry feed, the animal will not be able to feed natural food to provide additional vitamins. All the nutrients, vitamins, and health should be included in the composition of the dry feed. Of course, preference should be given to feedm premium and super premium class (Hills, Royal canin, Iams). To combine such feed with wet food of the same brand is not recommended. Translation of animal on dry food should be within 7-10 days. And only under the condition that your cat is healthy, regularly goes to the tray, playful and not pregnant. Before you change your diet, veterinarians recommend to pay attention to the habits of a cat. If the cat is not drinking water, then transfer to a dry feed such an animal is undesirable, otherwise you can suffer kidney and bladder. These animals plenty of fluids usually get from wet food. But there is a simple method: first dry food for your pet should be lightly soak. In the early days at the dosage recommended on the packaging of dry feed, pay attention not to be. In the first and second day to the traditional diet of cats mix in the new food. It will be enough 10-15 "crackers". Dry food should be soaked in food, throwing directly into the bowl. Despite the fact that the food is moistened, thoroughly ensure that the animal always have fresh water in sufficient quantity. In the future, the cat that eats only dry food needs to drink 4 times more water than the amount of eaten feed. Otherwise, the animal increases the risk of kidney stones (especially in cats). Every day the number of added soaked feed should be increased two times. The volume of natural food proportionally reduce. If the cat refuses to eat the soaked dry food, leave it in the bowl untouched, try to change the manufacturer and pour the "chips" separately without mixing. The 10th day of the diet of cats completely eliminate all foods other than dry feed. Do not feed the animal "off the table", don't give her the remnants of his food. Now your cat should be fully transferred on dry food. Cats it is advisable to only feed one type of feedintended for adult cats. The dose is calculated according to the instructions printed on the package, and depends on the weight and age of the animal. Kittens can eat dry feed its various types and tastes offered by producers. The animal has already been translated into dry food, with great difficulty returned to feeding wet food. The fact that the masticatory apparatus and digestive system of an animal adapted to eat the type of food - dry or natural - and they cannot be mixed. The new kitten is a very happy event, but significantly added worries and responsibilities. If the owner is working and he had no time to prepare a balanced diet for a kitten of natural products, the best option would be to transfer the animal on dry food. This should be done gradually. - a bowl for clean water. Dry food is made of hydrolyzed meat, with herbs, vegetables, cereals, vitamins, trace elements, minerals and provides kitten complete growth and development. Transfer it is possible not earlier than in two months when the kitten is fully formed teeth, and he will learn to chew well. The convenience of feeding dry food obviously. In addition, they contain everything you need, they don't go bad in a bowl, do not stain the kitten and the floor near the place of feeding. 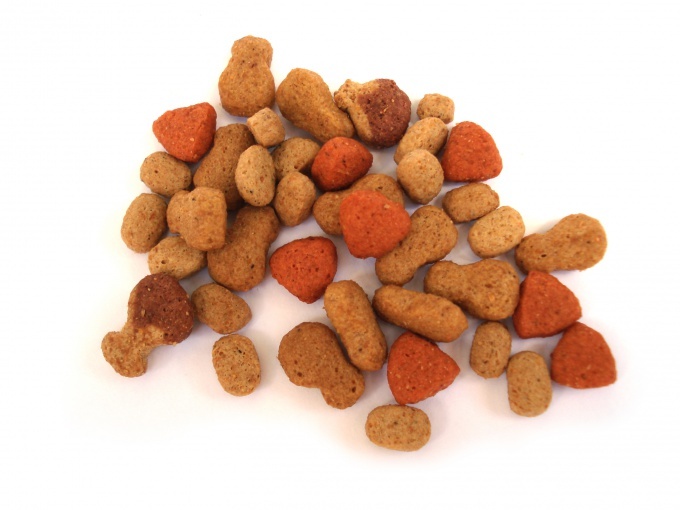 For kittens, there are special dry food more fine and soft granules. Better if selected will feed a premium or extra class. On the packaging of all manufacturers specify the age at which you can start to give the kitten a particular food. Therefore, you should carefully read the instructions, besides the store has a shopper who will talk in detail about the benefits of all types of feed. Transfer to dry food within 10-15 days as it depends on the individual animal. Some kittens are very quick and easy to get used to dry food, while others need at least 15, and sometimes more, days for habituation. The first days it is necessary to pour a few pellets to his usual food. If the kitten is not one of them touches the dry food should be moistened or mixed with regular food. Daily (during this period) the number of habitual food should be reduced, the amount of dry food to increase. When the kitten used to dry food, the dose that is listed on each package, you need to pour in a clean bowl every morning at the same time. The bowl from the water carefully to wash and fill with fresh. If you go for a long time, you should pour more food and put two bowls of water. Water always takes 4-5 times more than dry food. So that in a bowl have always been fresh water, should be closely monitored. If the kitten is fully transferred on dry food, we give him regular food because it can cause indigestion. 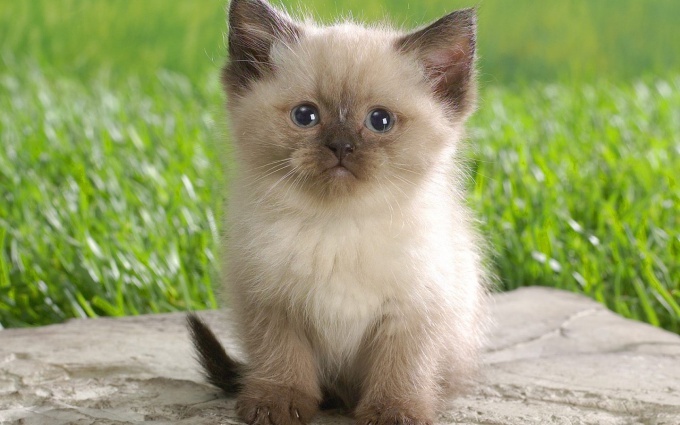 The translation of darling kittens on dry food, you should always consult with the breeder about what food is most suitable for a particular breed. There are many conversations about how to organize a proper feeding of cats. Dry food is much more convenient for owners, but those owners who are genuinely concerned about the health of their Pets, prefer a natural diet. To accustom the animal to him even after a long feeding dry food. If you are going to transfer a cat on a natural food, remember that the responsibility for a balanced diet falls squarely on the owner. The food is off the table for cats are not suitable, as original did not look taste preferences of the animal in the form of chocolate or fried potatoes. On how to properly feed an animal, it is best to consult with a specialist. 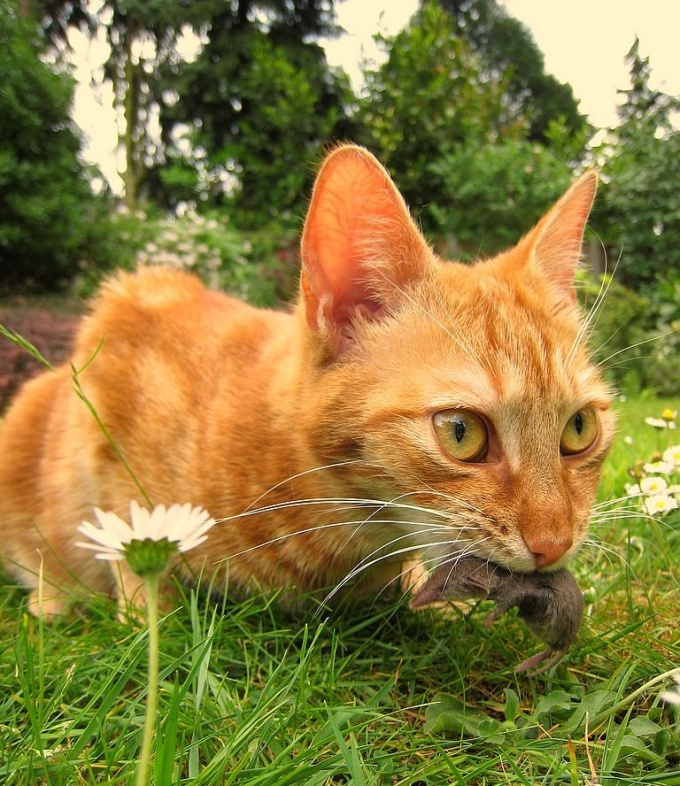 Go natural cat food gradually. On the first day add to the usual dry product only a tenth of the meat. On the second day, increase its content to 20 percent, and so for 10 days, while the dry food will not be completely eliminated. You can try to prevent natural foods with powdered narrow food or liquid food, as the love for dry food called its special smell, pleasant for the cat. Try to choose the most appropriate for cats product. Maybe she doesn't eat beef, but do not give up chicken. First, the animal will just get used to the taste of whole foods, forget about dry food. Is it too late for her diet can be expanded. A more radical method is a sudden and complete rejection of dry food. The only problem is that some animals absolutely do not want to eat natural food, deliberately starving a few days. It is doubtful that the animal will be able to consciously starve themselves, but not every loving owner will be able to sustain such a protest. While the animal is at the stage of transition from dry food to natural, it may refuse food or eat very little. In order for the products is not lost, and did not have to waste time preparing new batches, you can freeze a few small containers of prepared meat in the freezer. Before feeding will only defrost food.